We simply love it when a new keepsake business we have supported takes off and flies. 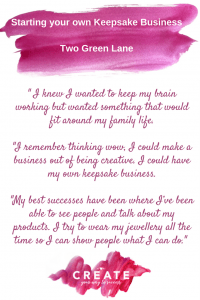 Here, we have been chatting to Laura Buchanan, owner of the fabulous Two Green Lane who offers bespoke keepsakes. Laura definitely has her hands full with a young daughter and a young business to juggle! Read on to find out how she does it and the lengths she will go to to get that perfect keepsake print! “I used to work full time in corporate marketing. After getting married I had a baby girl, Esme and when she was just 12 weeks old we moved from London to Kent to be closer to family. As time went on and I thought about my maternity leave ending and returning to work I knew things had to change. The daily commute around the M25 would mean that I would leave Esme before she woke and probably wouldn’t get home until close to bedtime. Logistically, getting her to childcare would also be a nightmare. I looked at the local nurseries which were lovely but I just didn’t feel happy leaving her. I knew I wanted to keep my brain working but wanted something that would fit around my family life. I started searching Google for work for mums – just looking at anything. Then I came across franchise opportunities but the pressures that are associated with them just wasn’t what I wanted. I then found The Keepsake Company (associated with Create your way to Success). It showed that there was an alternative to a franchise, where the business would really be mine. I started looking into the pros and cons and realised The Keepsake Company could be the answer. It was going to enable me to combine my marketing experience in a big corporate company with my love of making beautiful creative things. My mum is an artist and my brother is talented at Art so I guess it runs in my family. I particularly loved making Christmas cards and I remember thinking wow, I could make a business out of being creative. I could have my own keepsake business. I started the ball rolling and my kit arrived! It was really happening. My marketing background was an added advantage. I knew what I wanted from my branding and the image I wanted to project. It was very important to me that I got it right. I started with a name. I wanted it to be personal to me but generic enough to allow me to diversify when I wanted to. My Grandma was an amazing woman, a real inspiration to me so I started writing all the things I associated with her. Two Green Lane was born as it was her address. I wanted to spend quite a lot of time on getting branding right so everything I did reflected my brand behaviour. Very early on knew the type of colours I wanted. My marketing skills helped me envisage what type of brand I wanted. I applied skills I already had in understanding that if you can get your positioning right, then from a pricing point of view you should be ok. I wanted to produce excellent, high end products and to have the branding and pricing that reflected that value. Looking back would I have done anything differently? I would have set more realistic targets and expectations. It is so hard to know how well you are going to do. It’s realising that it’s slower than you want. People need to get to know you. Customers buy from actual people and their relationships with them are important. They need time to get to know you, get to know your brand before interacting with you from a business point of view. It is also really easy to work long hours. When you are your own boss you need to be strict otherwise you carry on working. I was easily working until 2am which is not great. It’s difficult to rein it in. I wouldn’t say I have that balance yet as it’s so new but I want to put everything into it to give it the best chance. Two Green Lane was launched on the 31st August 2016. Starting when it did, I was straight into Christmas. I decided to get through Christmas then work out what strategies I needed. January was great for reflecting on what had happened over Christmas. I would love to have done more face to face work and still want more of this. I have Esme with me all the time so it is a bit of a challenge. She’s great dropping off leaflets etc with me but not so much if I want to sit and chat to people! Mums out there will sympathise! It is important to build up relationships with people. My best successes have been where I’ve been able to see people and talk about my products. I try to wear my jewellery all the time so I can show people what I can do. I currently have 5 different outlets selling my products. These were carefully chosen to reflect my branding and complement my business and target audience. I also have an Etsy shop. It is important that I like the companies I work with and that we fit together. I am impressed by companies who feel the same as me and who share my ethos. My jewellery is about telling stories. Sometimes they are not immediately happy stories but can be rather sad with bereavements and memories but I know that the pieces I create bring comfort. I feel so passionately that my jewellery should help people. Whether through happy or sad times. My jewellery is so much more than just a product because I put so much of my own passion in it. My keepsakes are usually based on children but the business is also going really well with pets. One of the funniest thing that has happened was when I was at an event at Rye Harbour Contemporary Art and Craft Fair. I had my jewellery on display and had an enquiry from a couple who wanted to order a paw print charm for their dog carer. The dog was outside so we thought well, no time like the present! This beautiful chocolate coloured Labrador puppy appeared but the place was full of warm mince pies so we thought we would be better to take him out of temptation’s way. We ended up in the only space available – the men’s urinals!! Myself, my mum, the couple and the dog were all crouched on the floor trying to get the puppy’s prints! Suddenly a man walked in needing the loo. He froze, looked at us in pure bewilderment and walked out! We all looked at each other and laughed! I go to great lengths to get the perfect prints but this one will stay with me for a long time. I never really want to repeat the men’s urinals again! Worth the effort! 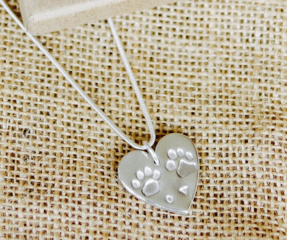 A beautiful paw print keepsake. I am so happy with Two Green Lane. I definitely made the right choice to start my own business. January and February are slower months but I do a lot of ground work and now in March it’s paying off. People for whom I made items for Christmas have recommended me and I am having their friends contact me. Word of mouth is the best recommendation. I research businesses I would like to work with and leave postcards for them to display. I exhibit at craft fairs and farmers’ markets but I select carefully to make sure my target audience will be there. Generally, purchases aren’t made on the day but people contact me later. It’s where relationships are created with customers. My one piece of advice would be to get yourself out there and get yourself known. You can’t just sit back and wait for web page or Facebook page to generate customers. It is much more powerful to speak to people. I always send handwritten note thanking them for their orders and asking for them to recommend me if they are happy with their purchase. People tend to be more than happy to support local businesses. 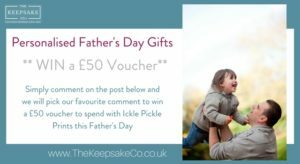 I have found amazing support and advice through the Keepsake Company. Everyone is very accessible, from head office to the members who I have regular contact with through our members only Facebook group. The people there genuinely believe in you and care about you. They want to see you succeed. It is amazing because you would think there would be massive competition with people out to jeopardise you but it couldn’t be more different. It means so much not to be alone. The support is amazing in all the different areas training and mentoring – of social media, training on products, new projects, growing your business and the excellent Mastermind calls we have to really enhance our focus on our goals.” It’s the same team behind The Keepsake Company and Create Your Way to Success and we can’t wait to see Two Green Lane grow! 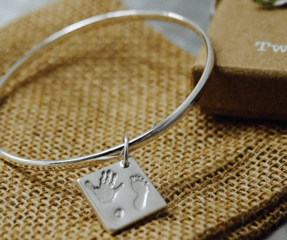 If you would like more information on how to start your own keepsake business with the support Laura receives, contact us at The Keepsake Company. If you would like information on alternative packages, contact us at Create Your Way to Success.